A huge selection of coupons! 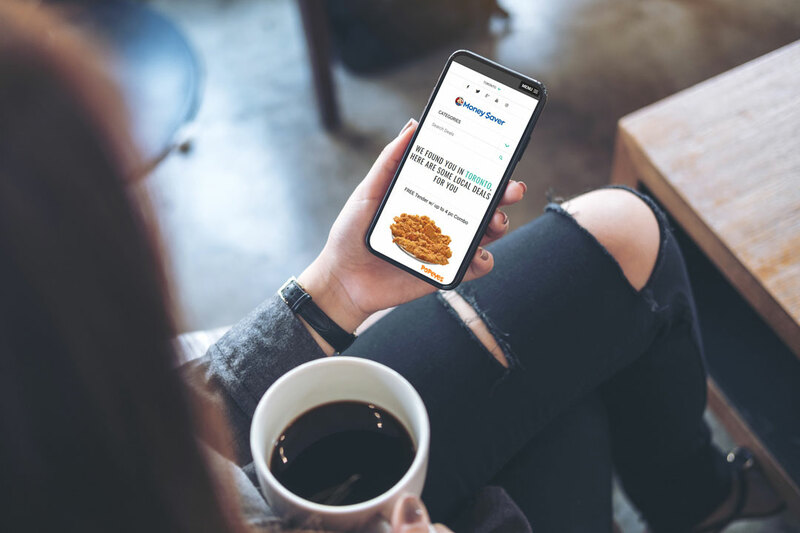 We offer exclusive coupons from local retailers that you won't find anywhere else along with top national coupons from companies like Boston Pizza, Popeye's, Hero Burger and more! Whether you want to save money on restaurants, entertainment, health and beauty, home improvement, groceries, shopping, travel or on your automobile – MoneySaver.ca is the place to start your search. Why pay full price when you don't have to? Our coupons are free and easy to use. With access to money-saving coupons on everyday essentials and splurge-worthy items, you'll be wondering why you weren't using MoneySaver.ca sooner! Finding great coupons online is only half the fun – you can also easily share any MoneySaver.ca coupon with your friends and family. Don't have time to explore MoneySaver.ca? We'll bring the coupons to you with weekly emails of the top coupons you're craving. Look no further than your inbox for the latest and greatest ways to save and enter great contests with MoneySaver.ca.